See what your client means. Anchor conversations in pictures. 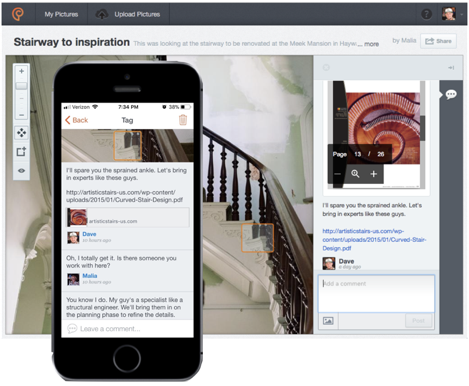 Ponga anchors conversations in pictures where chat, documents, even pictures and video explain relevant details. Essentially it’s Google Docs, but for pictures. Ponga visually anchors conversations. You see what your client means — and can reply in context. Add concise explanations from web pages, documents, and videos by pasting links. 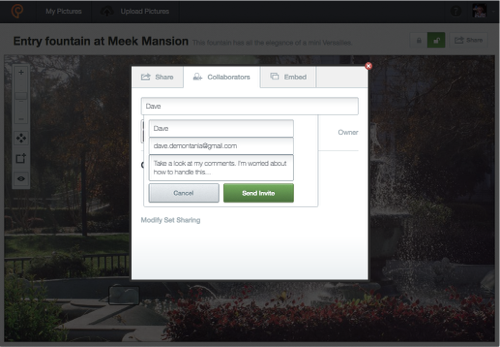 Comments, replies and approvals are shared automatically with everyone on a project via email so you keep an archive and communications are integrated into existing workflows. Everyone gets the memo and is on the same page. Your client candidly replies without the pressure of followers. When you’re ready to buy, you click through to Pinterest sources. From inspiration to construction, add and remove stakeholders at each stage of a project workflow. As comments are made stakeholders reply in context. Their replies are shared with everyone. Doodles don't do details. Clients are already jamming pictures into your workflow, but without specifics, they can undermine decisions. Only Ponga lets you go layers deep to add meaning, and a documentation trail to capture agreements. 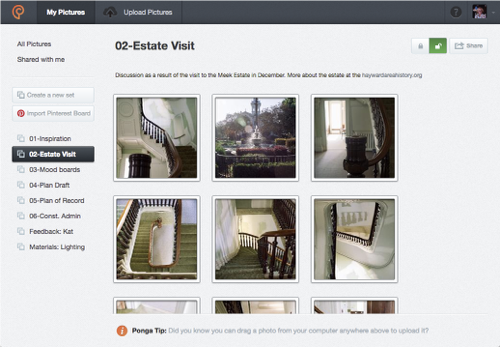 Add the depth of Ponga pictures to your own site with copy/paste ease. Tap the markers in this picture to explore an example. 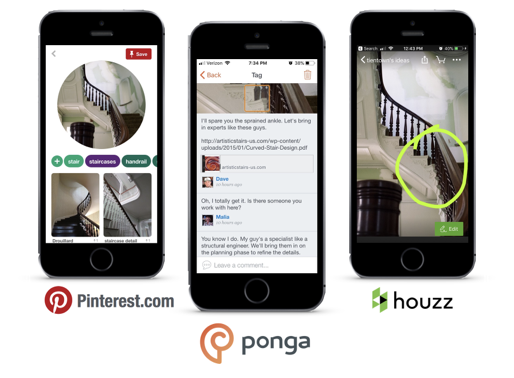 See more at examples.ponga.com and below to see them shared in social media. See examples linked here on Facebook and Pinterest, or Instagram, and Twitter below. 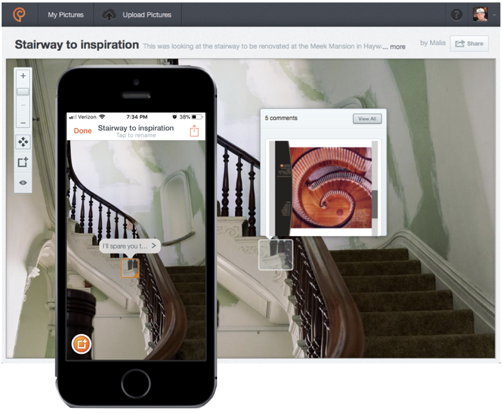 Explore Ponga by starting a conversation in your own pictures. It’s easy, we’ll get you started in an email. Already have an account? Sign in here. Soemthing went wrong! Please try again later. Copyright © 2018 Ponga Tools Inc. All rights reserved.